All the steps of this creation. New customers have discovered our website and have been in confidence to order a ring for a weeding birthday. I have met us to first choice a stone. They have selected with me this huge 3.01 burmese sapphire. I bought it from Mogok. The second step was make a design for the ring in accordance of her personality. The drawing was done. After that it was time to use the 3D software to have a better picture of the ring. With that software it is also easy to calculate the number and size of the diamonds to be used. 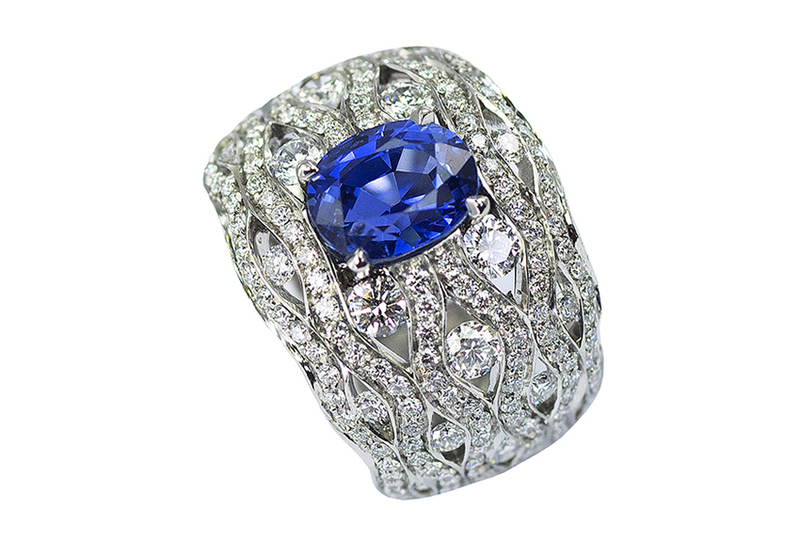 Here we have set 200 diamonds on this platinum ring. You can see the final result. And we was happy together with this result.